Under Construction;This brand new 2,368 square foot home is waiting for you to be its first owner. Upon entering the Destin, two bedrooms and a full bath can be found to the side, and a bright, naturally lit kitchen, great room, dining room, and breakfast nook can be found straight ahead. Every aspect of this floor plans design accentuates the homes open concept feel, with the kitchen is featured at the heart of the home. The kitchen includes a large granite island, stainless steel appliances, plenty of cabinet space, a large pantry, and easy access to the three-car garage through the laundry room. The Owner's Suite is privately located at the back of the home and features a charming tray ceiling, two walk-in closets, a double vanity, garden tub, and separate shower. The fourth bedroom is also located at the back of the home, opposite the Owners Suite, and the third bath is located just outside the fourth bedroom. 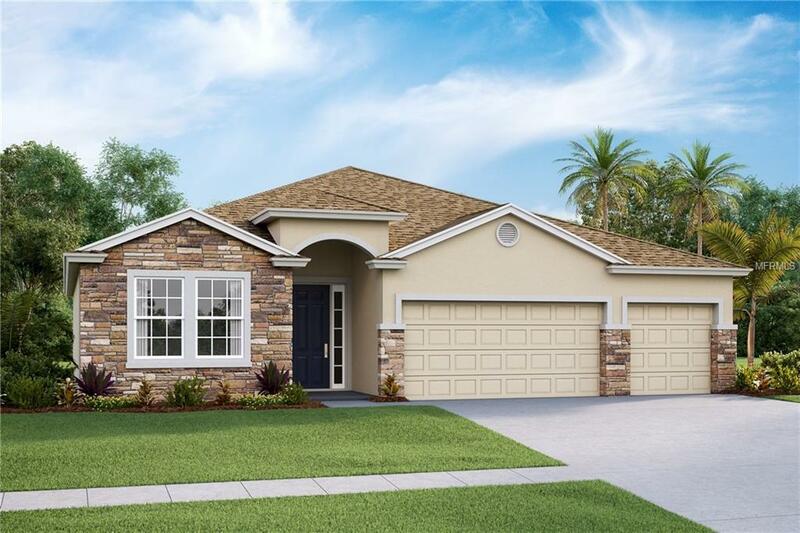 Off of the great room is a covered lanai that provides a great space for relaxing or dining al fresco.Other quick inventory options available in this community and others nearby. Models not open yet, by appointment only.Pictures, photographs, colors, features, and sizes are for illustration purposes only and will vary from the homes as built. Home and community information including pricing, included features, terms, availability and amenities are subject to change and prior sale at anytime without notice or obligation.